Enjoy a variety of events year-round at the Pasadena Civic Auditorium. Dance. Theater. Comedy. 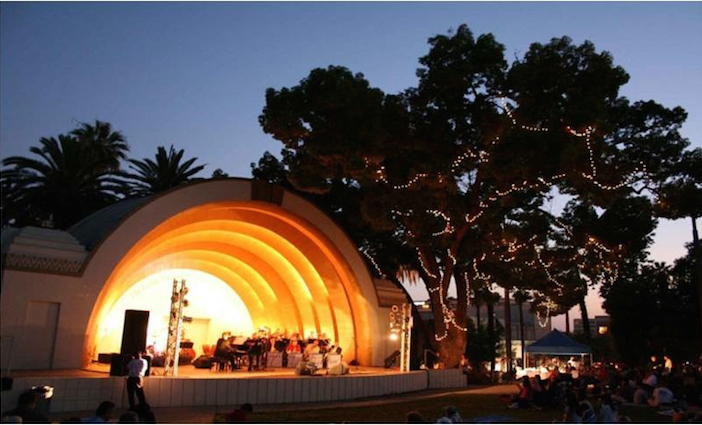 Discover a bounty of world-class performing arts venues nestled in downtown Pasadena. Recently celebrating its 25th anniversary, take in classic theater performances at this well-known Pasadena establishment. The theater itself houses 238 seats, with each seat no more than seven rows from the stage. Light refreshments are available for purchase before each show, but to fully indulge, become an annual fund contributor to enjoy complimentary refreshments in The Founders Balcony, which has a bird’s eye view of the stage. Tucked one block off Lake Avenue, this performance venue programs everything from theater and music to spoken word and dance. Two different theaters share center stage—one with 99 seats and the other at 60—granting guests an intimate evening of entertainment. Dishing up laughs since the 1960s, some of comedy’s most notable names have performed here: Steve Martin, Lily Tomlin, Robin Williams, George Lopez and many more. As its popularity grew, a second showroom was added to the mix as well as a VIP room and outdoor courtyard, perfect for mingling with comedians after the show. Levitt Pavilion hosts a summer concert series each year in Memorial Park. A favorite summer destination among locals, this outdoor venue plays host to a diverse slate of live music acts. Also of note is its unbeatable location: Old Town is only a stone’s throw away and the Gold Line Memorial Park Station drops off directly in the park. Whether you’re looking to sit back and enjoy a show or step into the beat and learn a few moves, this community arts hub has you covered. Class offerings include professional ballet, modern, pointe, plus special classes for children. 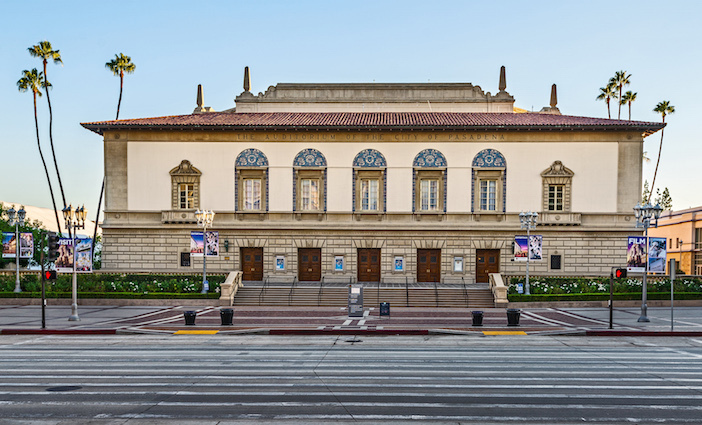 Steeped in rich history, this iconic Pasadena performance hall—dating back to the 1930s— plays host to a variety of special events year-round. Past performers include Bob Dylan, Ella Fitzgerald, Josh Groban, plus world-renowned orchestras like the New York Philharmonic, the London Philharmonic and the Los Angeles Philharmonic. The Pasadena Playhouse is one of the most prolific theaters in American history. If you’ve visited the iconic Pasadena Playhouse, know that you have stepped foot into the official State Theater of California. 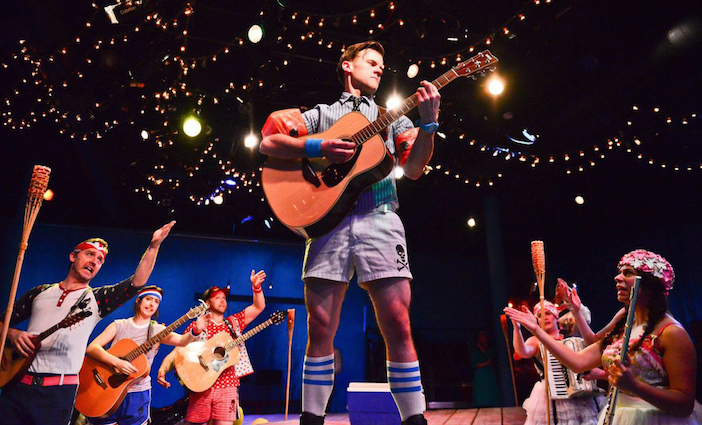 The prolific venue, established in 1917, has commissioned over 500 new works, produced 1,200+ shows and seen more than 30,000 students through its arts education program. For its next century of life, expect new theatrical experiences and classes committed to dramatic learning. Treat your favorite pals to a night of live music at this state-of-the-art concert venue in downtown Pasadena. Opt for fine dining on-site or a more casual meal from CaliBurger. All photos courtesy of Visit Pasadena.